This website is designed with architects and consultants in mind, as well as those who wish to learn more about EIFS, ETICS, EWI, and Insulated Concrete Forms (ICF). Terraco EIFS combines continuous exterior insulation with design flexible aesthetics to ensure indoor comfort and to improve energy efficiency in a single high quality wall system using a sophisticated decorative finish. 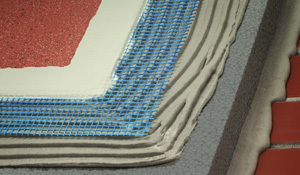 Using this website you will not only understand how EIFS works, you will be able to understand the Terraco EIFS system options available to you, select the decorative finish of your choice, create your own generic architectural specification and subsequently download the relevant architectural submittal, have access to architectural drawings in cross-section, determine the thickness of the insulation material required, be able to watch installation videos as well as understand how to maintain and repair your EIFS should it ever be damaged. 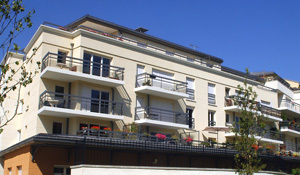 Terraco EIFS offers cost effective solutions to reducing a building's impact on the environment. Learn more about Terraco EIFS systems and their benefits. 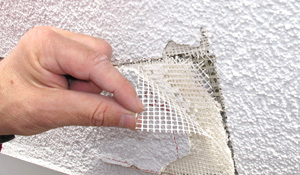 EIFS system components includes not only the insulation boards, but also the EIFS mesh, the mechanical fasteners, the edge trims, the water-resistant barriers, and the drainage cavities. Terraco EIFS is finished using a decorative wall coating with a high build finish to provide optimum impact resistance, being 1.5mm to 3.0mm in actual coating thickness. 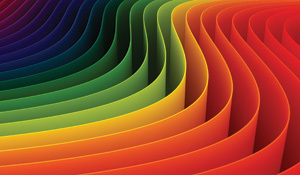 Select your choice of textures and colours here. The maintenance of Terraco EIFS is necessary if damaged by external factors and will need to be repaired in order to maintain its performance characteristics. Please find suggestions on how to do this here. 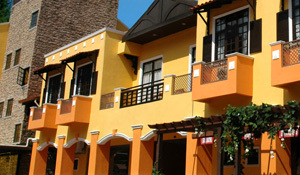 Terraco EIFS has been applied in numerous countries across the globe. A few of the more recognisable projects are to be found here. 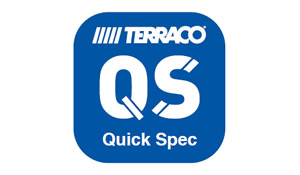 Welcome to Terraco's online EIFS specifications service! You are just a few quick steps away from having your Terraco EIFS specification. Once you complete the relative content, it is downloadable for your use.